Enjoy luxury living at its finest at Tuscany Place, apartments in Papillion, Nebraska. Tuscany Place features an outstanding selection of fourteen unique and spacious floor plans, prospective residents will find the perfect layout for their lifestyle. Apartment homes feature immaculate kitchens with black or stainless steel appliances, a kitchen island and stylish granite countertops. Large walk-in closets and personal patios or balconies will make your new apartment feel like home. 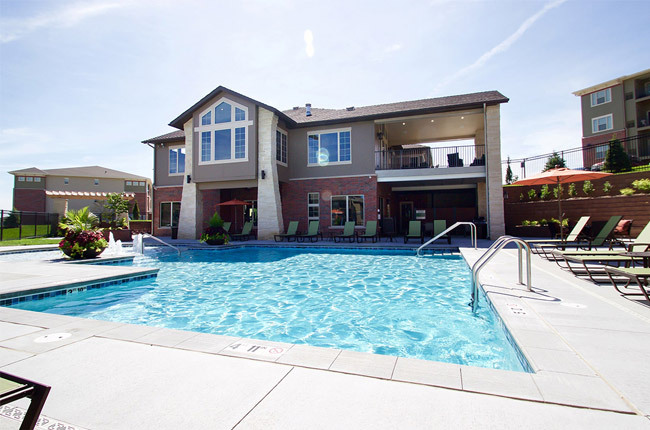 Tuscany Place sets the standard for luxury apartment living in Papillion. Call to schedule your personal tour of our community today! You will not find a shortage of convenience at Tuscany Place in Papillion, Nebraska. Our apartments are located down the road from The Shoppes at Market Pointe, which boasts many options for shopping and dining. Tuscany Place is a short drive to Ralston Arena, where you can enjoy live sports and concerts. Seymour Smith Park is also located nearby, featuring 197-acres of outdoor recreation, including sport fields and courts, a disc golf area, and a skate park.